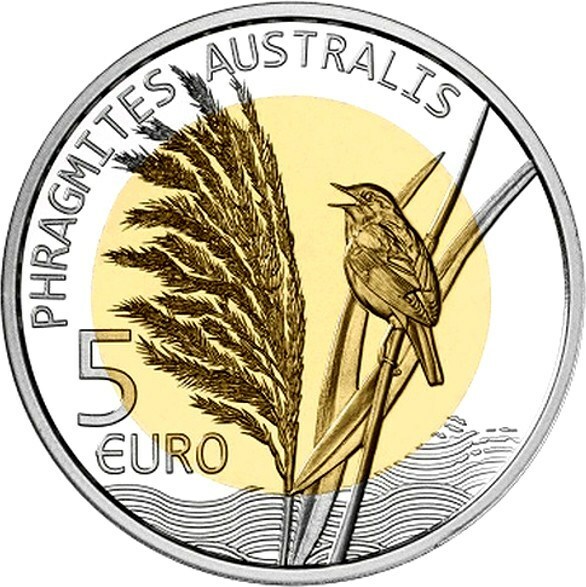 Belonging to the series Flora and Fauna of Luxembourg a collection coin with a 5-euro facial of bimetallic type is issued, in Proof quality, dedicated to the Carrizo (Phragmites australis). The generic name derives from the Greek "phragma", which means thin cane. The coin shows a rod of reed on which a Carrizero Común has settled, a bird that, as its name suggests, inhabits the reedbeds and where it usually nests on the shores of the lakes. The face value, 5 EURO, and the scientific name, PHRAGMITES AUSTRALIS, complete the composition. 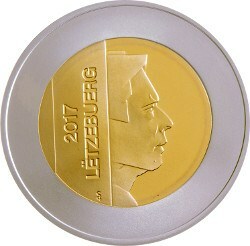 The coin minted by the Dutch mint Koninklijke Nederlandse Munt, shows on its obverse the profile image of the Grand Duke of Luxembourg. The image corresponds to that of 2017, but except for the year, it is identical in 2018.